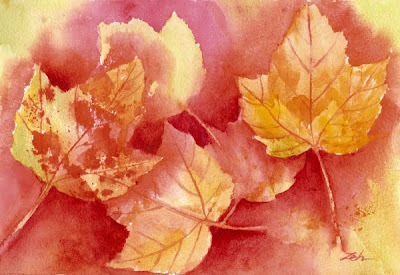 What fun it was to do this painting as it involved a walk on a crisp autumn day to pick up a few pretty leaves. Much more fun to paint them than to rake them. But, I'll be having to do that next!